In September, Facilities Management Director Skip Hartsell spoke to Student Senate about recycling on campus. “People finally asked [Hartsell], ‘Is the recycling being thrown away?’ And he was like, ‘some of it is,’” Environmental Concerns Committee (ECC) Chair Megan Cassingham said. This revelation from Hartsell came to the surprise of many, including Cassingham. She explained that she and ECC were aware of small issues occasionally plaguing campus recycling efforts, but Facilities left ECC in the dark about how bad the problem had become. “It was never brought directly to us as a committee,” she said. According to the notes from the Sept. 18 Senate meeting, Hartsell explained that cross-contamination, when trash and food waste end up in the recycling bins, is the main problem with recycling on campus. The city of Conway has warned Hendrix that there could be fines in the future if the problem persists. Hartsell continued to describe the severity of cross-contamination on campus, citing data from April 2017 to March 2018. 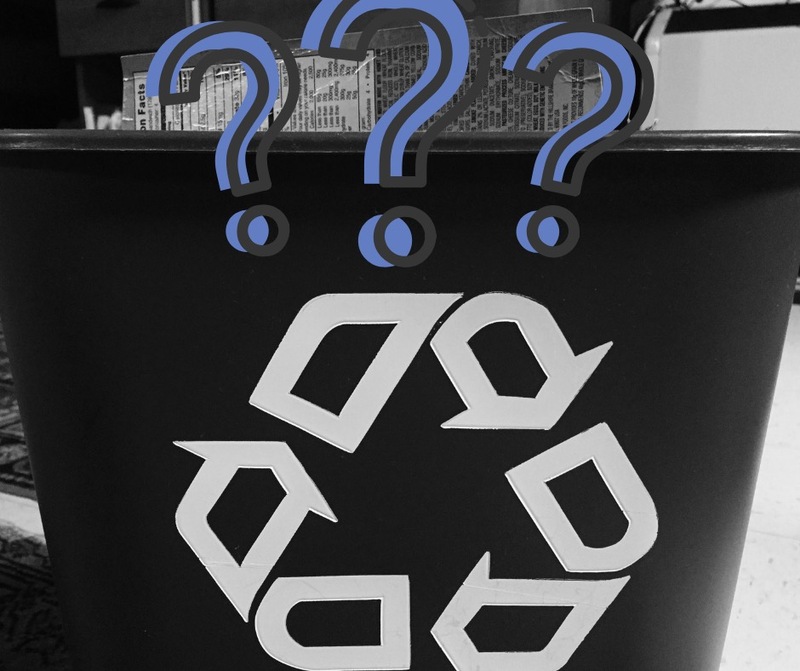 Of the 174 “pulls” of recycling in the exterior recycling bins located across campus, 128 of them were deemed contaminated and discarded with general waste. That means almost 75 percent of outdoor recycling is not recycled and is instead shipped to the landfill. These figures might be shocking to many, but Allison Monroe, former ECC Chair and current Chair of the Campus Sustainability Fund Committee, has understood this problem for several years now. “It was 95 percent [cross-contamination] when we first put them on campus,” she said. Monroe began a project that allows students to sign up for their own recycling bins, but she expressed worry that even this program is in jeopardy. “There is a very high chance that it will not continue once I graduate, and that’s just how sustainability things happen on this campus because [Hendrix administration] refuses to hire someone who actually handles those things,” she said. Pointing to other institutions like the University of Central Arkansas and John Brown University, Monroe says there is support there that we simply do not have at Hendrix. UCA has recycling and food waste disposal programs, reducing general waste. John Brown is a “zero landfill” campus, meaning that all waste is diverted from the landfill. Recyclable materials are sent to recycling plants, non-recyclable food materials are given to a local hog farm, kitchen grease is converted to biodiesel to power lawnmowers, and anything that cannot be sold to local vendors is compacted and incinerated in a non-pollutant incinerator.